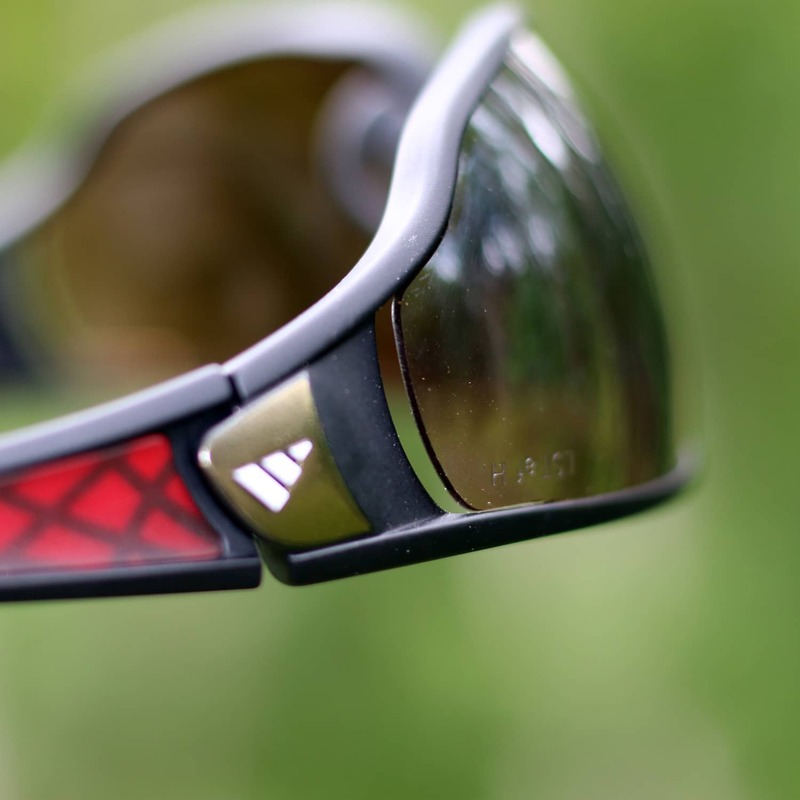 The Tycane line of sunglasses by Adidas Eyewear have been specifically designed for climbing, skiing and mountaineering as well as for watersports. And while not necessarily a household name in eyewear, Adidas boasts a wide range of high quality, sport-specific and casual sunglasses with top notch optics. If you’re looking for a pair of glasses that will work for ski touring, climbing, glacier travel, mountaineering, SUPing or just chilling on a patio check out the Tycane line (or possibly the Evil Eye which has a more general use sport frame) you will not be disappointed! 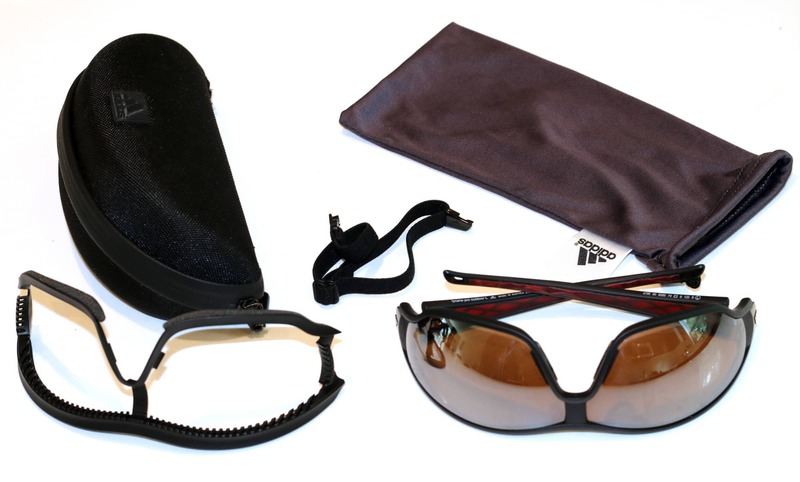 I tested the Tycane Pro Outdoor sunglasses with the LST Active lenses. The same frame is used for all the Tycane models, just with different extras included. You can also pick from a variety of lens options based on preference and intended use. Because of the wide range of lens choices available this review will focus more on the lens material, coatings and durability than any specific finish, color or lens category. Without the Facefit foam pad in place the Tycane glasses fit snuggly and securely in place with no movement. 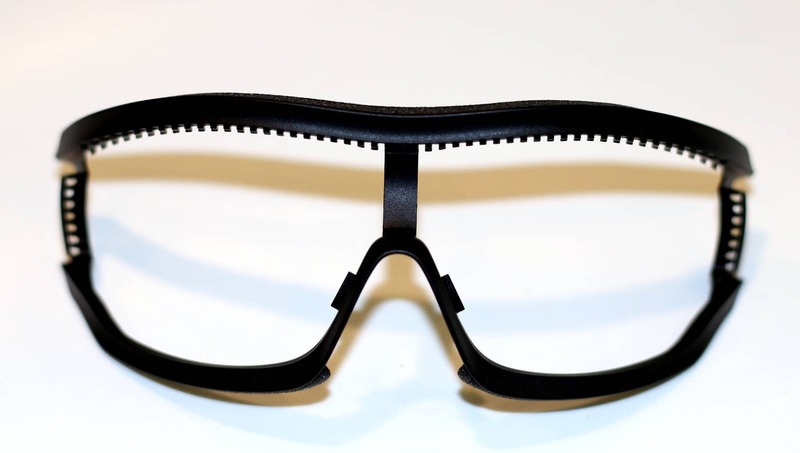 The adjustable temples allow the angle the glasses on the face to be adjusted and can compensate for uneven ears. The thin, wrap-around frame keeps unfiltered light out while maintaining good peripheral vision. The temple adjustment range shown by tilting one up and the other down. The frames and temples also flexible and so there is little pressure on the sides of the head allowing them to be worn all day without a headache. Their lightweight also keep the bridge of the nose from getting sore over time. The removable hinges at the temples are handy if you’re prone to sitting on your sun glasses or crushing them in a pack. The hinges at the temples come apart but can easily pop back into place. With the Facefit foam pad in place the glasses feel much more bulky and I found it necessary to adjust the angle of the temples to keep the frame from moving with my face, ie. lifting when I smiled. While not needed to keep light out the Facefit foam pad works very well at sealing out wind and powder snow much like goggles. The Facefit foam piece is can be removed when not needed. The saw-tooth edge is there to provide airflow when attached to the Tycane frame. The lightweight polycarbonate lenses are clear and crisp and, even after about 8 months of use, still in great shape. The coatings on the lenses have not suffered at all from being repeatedly cleaned and there are no scratches on them yet. Now this is partly because I’ve taken good care of the Tycane sunglasses but also due to the quality of the coatings which have stood-up exceptionally well. Shameless mountaintop selfie showing the Facefit foam on the Tycane frame. With the anti-fog coating and side vents I found that the Tycane sunglasses didn’t typically fog up even during slow-moving, high-output activities like a steep uptrack despite the fact that the frame contours around the face leaving little room for air circulation. However, fogging did become an issue with the Facefit foam in-place as it closes the side vents and basically seals the edges of the sunglasses leaving only small perforations around the edge of the frame for airflow. The side vents on the Adidas Tycane. The Facefit foam attachment seals these vents. Cons: Due to their tight fit the glasses tend to fog-up during high-output, slow-moving activities with the Facefit foam in place. The lenses are hard to change without smudging them a bit. 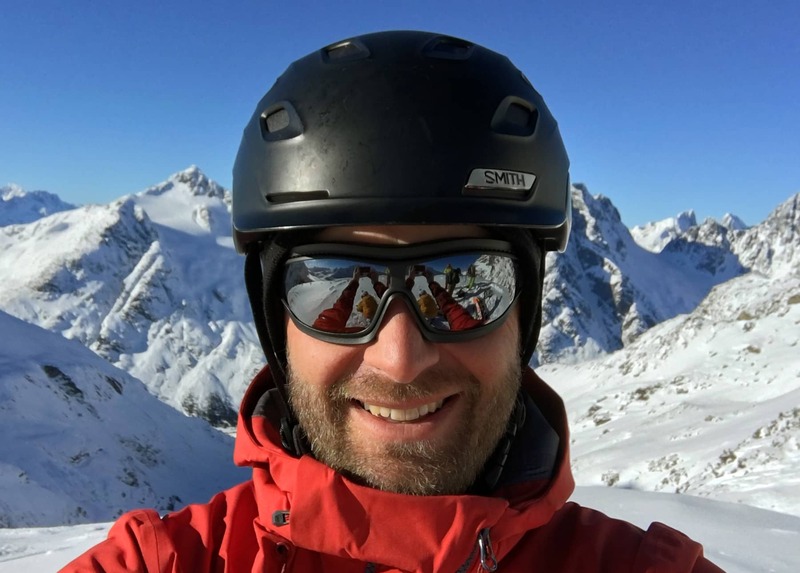 Overall: An absolutely fantastic pair of sunglasses for just about everything from cycling to ski touring to summer glacier travel or SUPing. The interchangeable lenses ensure that you can get the right lens for the right job and with the lightweight and comfortable frame is easy to forget you’re wearing glasses at all. Unless you plan to use them as a pair of emergency goggles I’d skip the Facefit foam pad. A test sample was provided by Adidas Eyewear but this in now way influenced my review. Cover photo by Bonsta.ca.